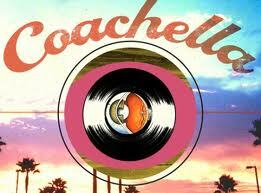 It’s here again...COACHELLA!! For those of you not aware of the madness, coachella is a three-day music and arts festival that happens every year in Indio,California. I still can’t get a friggin ticket because they are always sold out months in advance, and this leaves me stuck with a live stream of the show every year *sighs* it’s that good. However, my gloomy mood is not going to stop me from sharing my “what could have been” outfits with you guys. Wallpaper is one of the artists performing at Coachella. I love his playful pop sound with the digital beats. Enjoy!